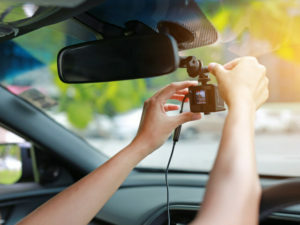 Dash cam footage is increasingly playing a vital role in helping to speed up claims processes and cut down on the number of disputes. So says Accident Exchange as it reports that claims are nearly three times more likely to feature dash cam footage amongst supporting evidence compared to just two years ago. The study examined tens of thousands of accidents recorded by Accident Exchange between January 2015 and July 2017 and found the use of dash cam footage following car accidents has risen by 285% since 2015. Police forces in Wales are starting to use dash cam footage recorded by the public to investigate driving offences following a successful pilot scheme by North Wales Police. And recent research by Aviva found that almost one in five (17%) of drivers currently use a dashcam, while a further 30% of motorists plan to use one in the near future – of the latter, 84% intend to invest in the technology within the next year.